I think it's safe to say that no one likes a leaky kayak. I especially don't like a leaky kayak, so I decided to take note on a few of the things I do to keep my kayak and everything inside it extra dry. First and foremost I make sure to tighten the screws on my kayak on a regular basis (every few weeks for myself). 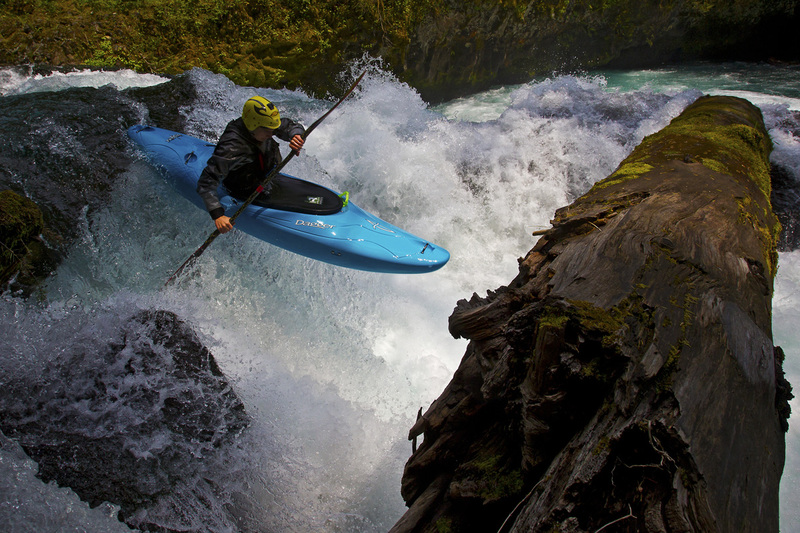 When we paddle our kayaks we put stress on each of the joints where pieces of outfitting (i.e. seat, thigh braces, bulkhead) meet with the plastic shell of the kayak. Over time this stress will slowly loosen the screws, and to keep our boats dry we must re-tighten those screws. To do this you will need a large Philips screwdriver as well as a 7/16" wrench, or adjusting crescent wrench. Most of the screws you can simply tighten with your screwdriver. However, for the screws that hold your bulkhead in place (only in boats with an adjustable bulkhead) and for the screw at the front of your cockpit (in select boats) you will need to use your 7/16" wrench to hold the nut inside the boat in place while you tighten the screw from the outside of the boat. This is one of the most basic yet effective ways to keep water from entering your boat. Secondly I make sure that my gear (i.e. drysuit, drytop, sprayskirt) doesn't have any holes or leaks. Even the smallest hole or abused seam in your gear can bring much water into your boat. Making sure to use a drytop or drysuit with a tunnel for your sprayskirt is very important as it also keeps lots of water out of your boat. I have also found that using newer gear keeps a lot of water from entering my boat and that older gear will leak not only through stressed seams, but also straight through the fabric. My last recommendation for keeping water out of your kayak involves a little more time and attention, but has proven to keep my kayak completely dry. What I do in this process is apply aquaseal to each of the holes in the plastic where a screw is drilled through to hold a piece of outfitting in place. Find the proper tools for the job. You'll need a 7/16" wrench (or adjusting crescent wrench), large Philips screwdriver, tube of aquaseal, and an unfolded paperclip to spread the aquaseal. You will need to unscrew all of the screws that are in contact with water when you're paddling. This includes all the screws around the outside of your cockpit rim and the screws that hold in your bulkhead. You don't have to worry about the screws that secure your grab handles because the plastic shell is molded for those screws and there are no holes in those locations. Next you will have to prep the screws before applying the aquaseal. To do this first position the washer on the screw between the screw head and the plastic. This will allow you to apply the aquaseal between both the plastic and the washer as well as the washer and the screw head for extra dryness. Also make sure that the locations where you will be applying the aquaseal are completely clean and dry for the tightest seal. Now you are ready to apply the aquaseal to the screws on your boat. Make sure to apply the aquaseal both above and below the washer so that there is no chance of water leaking. Using the paperclip to spread the aquaseal as close to the screw as possible also helps create a completely waterproof seal. I would recommend using a generous amount of aquaseal to cover as much of the screw as possible. Now, as the aquaseal is still wet, you're ready to re-tighten the screws. Use the screwdriver and 7/16" wrench (where needed) to tighten each of the screws on your kayak. As you're doing this the aquaseal will spread out. This is fine, but make sure that the aquaseal does not spread too far from the washer. If the aquaseal spreads more than 1/2" from the washer it will become more flimsy and more apt to un-seal in the future. Now sit back and let the aquaseal dry. You will need to leave your kayak in a dry area for 24 hours so that the aquaseal may cure. Once the aquaseal has cured you'll be ready to hit the river drier than ever. Well I hope this has been helpful to those of you with leaky boats. And remember that, though this seal will keep your boat extra-dry, you will still have to tighten the screws on a regular basis to maintain the seal. For more of Todd's blogs visit http://toddwellswhitewater.blogspot.com.